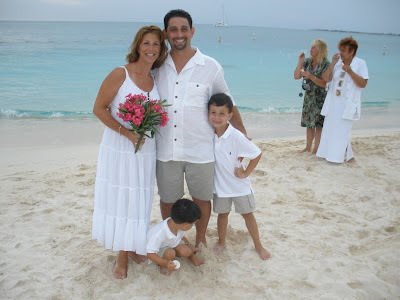 These days more and more couple are choosing to have a Wedding Vow Renewal Ceremony in the Cayman Islands. 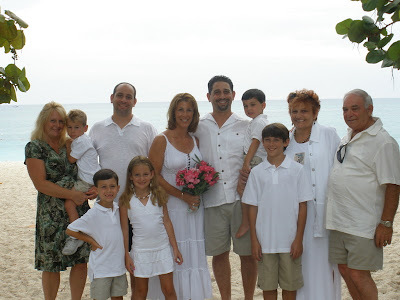 I am always happy to oblige, because I enjoy wedding vow renewals, especially with kids involved. 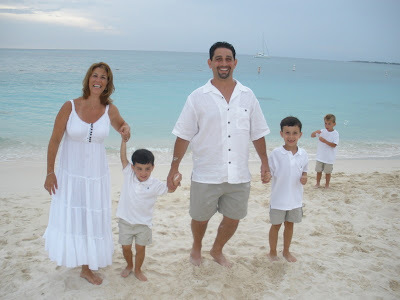 This couple from New York decided to renew their vows for their 10th wedding anniversary while visiting Cayman with their family this summer. Staying at Morritts Tortuga they choose Governor's Beach, which is mid - Seven Mile Beach for their vow renewal celebration. The five kids in the party certainly enjoyed it, and the sand-dollars I gave them as souvenirs. 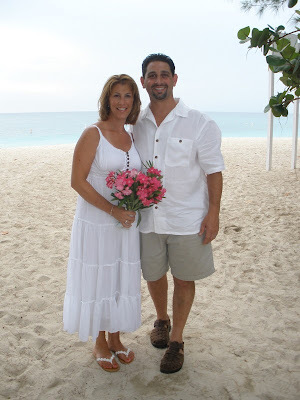 We did the ceremony right down by the surf. The bride had revised my ceremony to include the Hands reading, and some parts from their original wedding ceremony. I liked the revision, so I told her I would use her version for some of my wedding vow renewals from now on. The littlest boy didn't enjoy getting sand in his toes at first, but he soon relaxed and enjoyed playing pirates in the sea-grape trees with his brother and cousins. 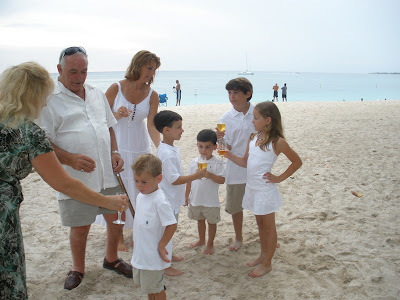 The kids enjoyed toasting with their own non-alcholic sparkling apple cider, while the adults had "Simply Weddings Bubbly"
Afterwards they all went to dinner at Grand Old House, one of the prime dining spots in Grand Cayman. +1 (345)949-9933 or email mywedding@candw.ky for more details.